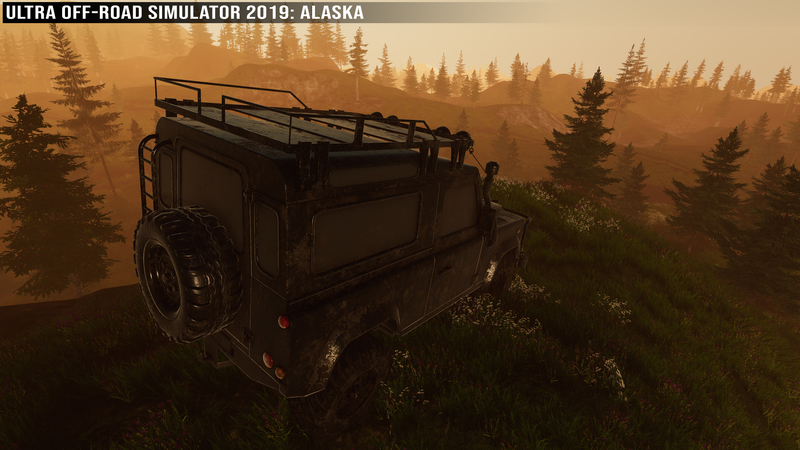 The developer of Ultra Off-Road Simulator 2019: Alaska [Steam], a surprisingly good looking off-road driving sim may gain Linux support with enough requests. While I think they're underestimating the differences nowadays, it's good to know they're open to supporting Linux. 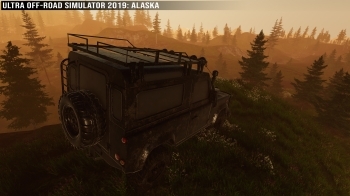 'Ultra Off-Road Simulator 2019: Alaska' is a realistic simulator of a real-life off-road experience and first installment of an upcoming series. Drive through one of the most extreme environments in the world - the wild and cold Alaska. No rules, no barriers, no ‘safe-zones’. Only you, your car and the map - against the odds of the wild and uncharted Alaska. The final challenge and ultimate test. Man versus Nature, in all it’s glory and unrelenting force. It features a vast open world with deformable terrain, a day and night cycle which could make things interesting when paired with dynamic weather too. A claim of "realistic" physics and destructible cars. I actually think it looks rather nice, could be quite a relaxing experience and I can't really think of many others like it on Linux. If it sounds like your thing, do let the developer know in the Steam post. I've been waiting for a good off road game ever since when I played Cabelas 4x4 off road adventure 3. Looking at the trailer I think this game still wants to be a bit fast paced for my off road experience, I hope that I am wrong. I'm actually interested in this, so I'm leaving a note there! rat2000 I've been waiting for a good off road game ever since when I played Cabelas 4x4 off road adventure 3. Looking at the trailer I think this game still wants to be a bit fast paced for my off road experience, I hope that I am wrong. Well then these are actually good news. Can't wait to see the final product. For sure I am very very interested in the game. We need this! I used to play Spin Tires, but it's not on Linux. but Spintires and Spintires: MudRunner works over Proton without issues, only intro video needs to get renamed or you need to hit space to skip the intro. Nice, i'm probably interested, too. I wishlisted the game on Steam, isn't considered as "Linux request"? So, instead of finish that email - I'll just jump in here and talk to you directly - how about that? First of all - THANK YOU soooo much! All the kind words and honest curiosity about our game is already so motivating and inspiring. I really haven't seen that one coming. None of us did. As I said on the forums: yes, we do not discard Linux port. 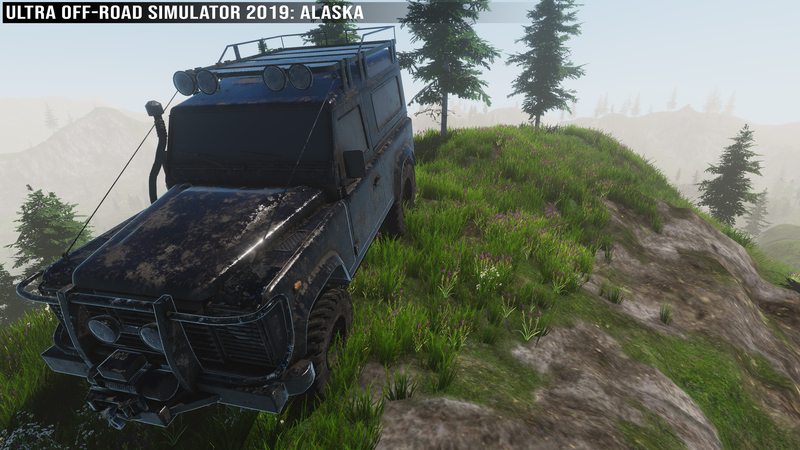 Actually - Ultra Off-Road is BEING MADE on Linux. Our lead programmer is a huge Linux evangelist and he does all the coding on his penguinish machine. Both Linux and iOS are UNIX operating systems. And as we intend to go with our game on Apple's storefront - having a UNIX supported version of the game was always on our To-Do List. Heck - that is why we discarded all DirectX libs and use OpenGL only. That being said - posting to Linux, when being rather easy - is still not just 'a click of a button'. It still needs some work. Ergo - some time. So what I can promise, is that Ultra Off-Road WILL support Linux - take it for granted. But it is in your hands - how quickly and how soon. You define its priority. As I've been quoted: spam the living hell out of our game's forum demanding Linux port - and you'll get it, maybe even at the very day of release. This is no marketing or PR tricks. It's simple math - we do what our players want. If our players want a Linux port - they will get it. After all - we don't make games for ourselves. We do it for you. You talk - we listen. No strings attached.